...and don't miss the commitment to sharing Karen Janowski is making over at her blog, EdTech Solutions- Teaching Every Student, where she is embarking on a trip "Around the Web in 80 Days." She plans to dedicate the next 80 days to highlighting "free, online resources to help meet the needs of struggling learners in innovative and creative ways." Cheer Karen on and subscribe to her blog (subscribe to button is in her right sidebar-and don't worry, Karen, we won't hold you to sharing 80 resources in 80 days)! Consider breaking Into the Book into an 8-lesson series with one of your upper elementary or middle school grade levels- it will be right on-point! I tried this site with a 3rd-grade class, and they were totally engaged in using the strategies while working through the quest-themed story of the site. Thanks for the "Into the Book" link! As you know, I've been looking for different materials for inferring so I'll be using this for sure! It will help to make an ambiguous concept more concrete! Glad you like it, Laura! True- this site is in the realm of inferential reasoning . Saturday Screencast: I hate Yahoo right now! Screencast Saturday: The SLP Blogs Bundle! 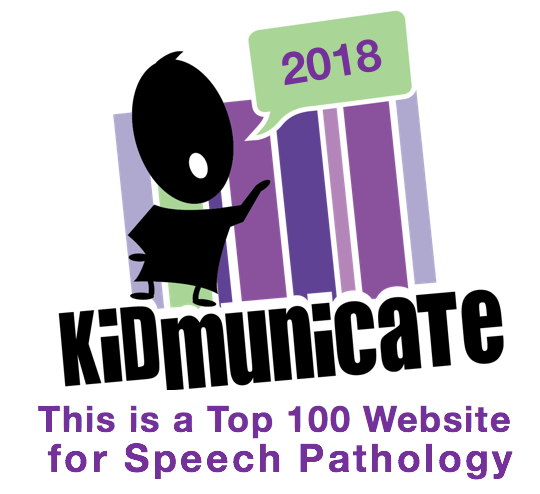 SpeechTechie Shortlisted for Best New Blog!